This set includes the 3 different cents minted at the Philadelphia Mint in 1909. 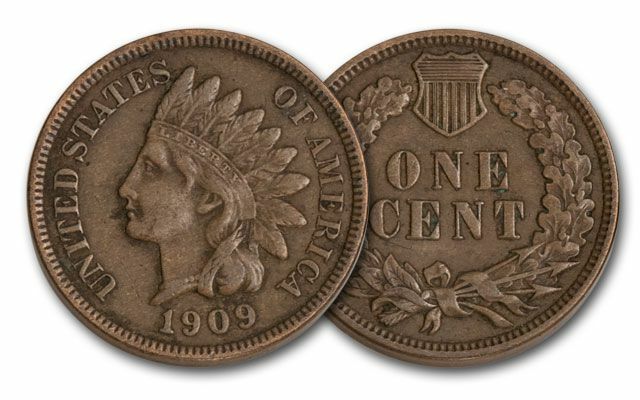 LAST INDIAN CENT: Production of the Indian Head Cent was stopped in the spring of 1909 to make way for the newly designed Lincoln Cents. FIRST LINCOLN CENTS: This was the first year issue of the Lincoln Cent. Both the VDB and non-VDB Lincoln Cents in this set were struck at the Philadelphia Mint. 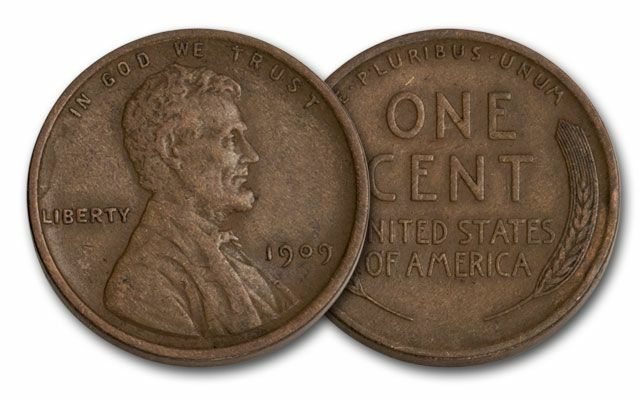 "VDB" INITIALS: The first examples of the Lincoln Cent in 1909 possessed the artist Victor D. Brenner's initials V.D.B. across the bottom reverse of the coin. Public outcry is what prompted the removal on future cents, and in turn resulted in the creation of a rarity. Brenner's original design had his full surname included on the coin so putting just his initials was a compromise. 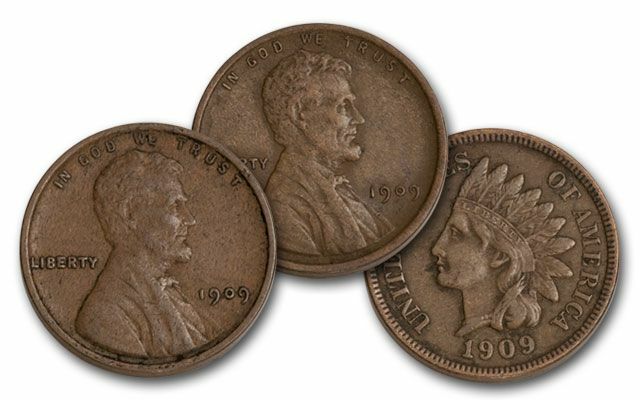 This 3-piece set includes both the Lincoln Cent (1909-1958) design as well as the Indian Head (1859-1909) design that spans nearly 100 years of United States cent currency. Each coin in the set is in Extremely Fine (XF) condition.